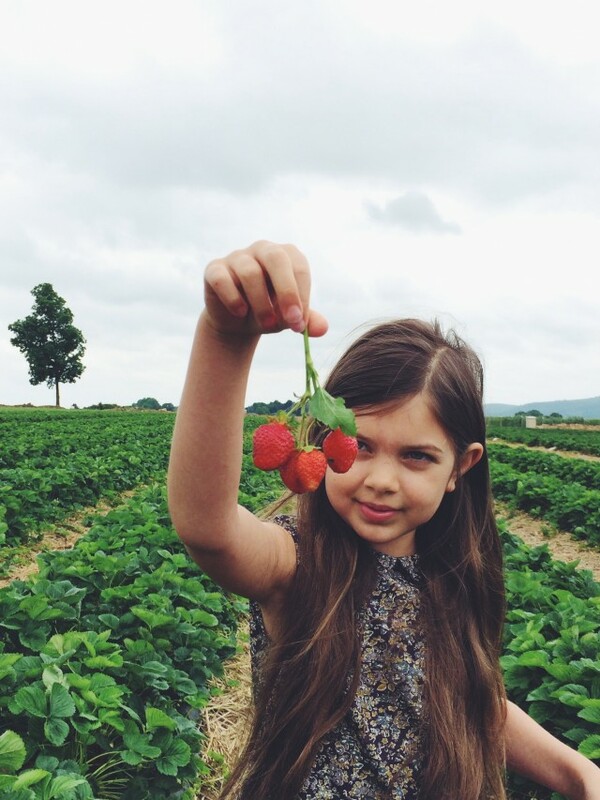 Our annual strawberry picking outing was this past week, and like we have done the past few years we went to Donaldson Farms in Hackettstown, New Jersey. 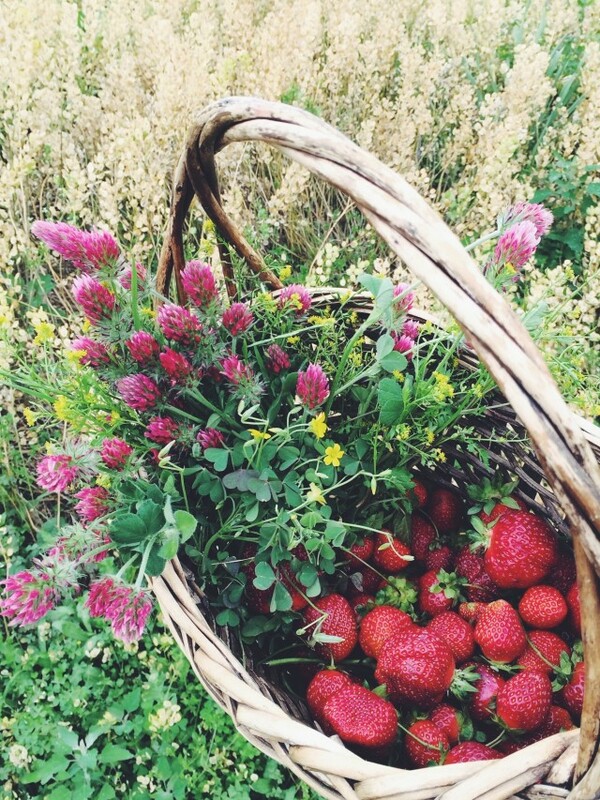 It is a beautiful clean, neat and tidy farm with a few animals and a variety of crops, but we especially like to visit for the huge strawberry patch. While it is not a certified organic farm, we visit anyway because it is very well run. 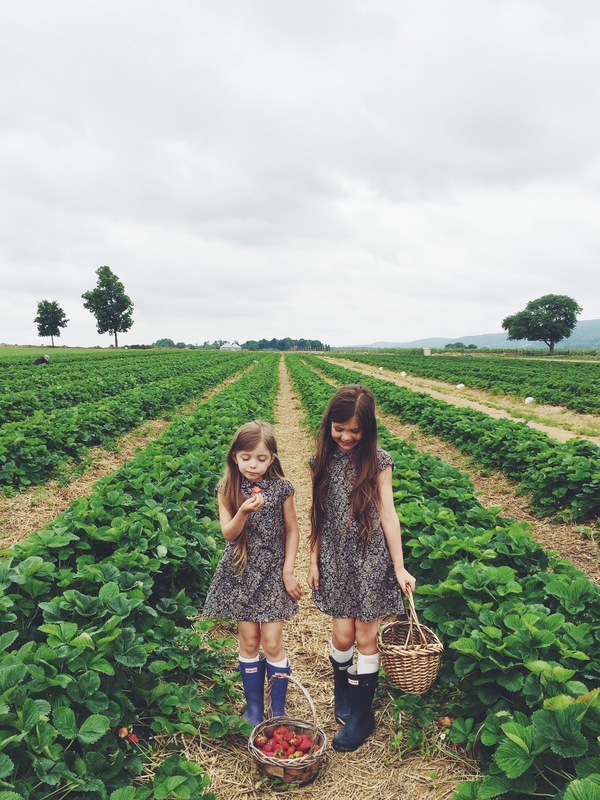 There are in fact no certified organic u-pick strawberry farms in Jersey, so until I find a farm that might invite us to pick, we go to Donaldson Farms. I was able to speak with them this time about why they are not organic, and in what ways they treat their strawberry crop. I grew up with a large homegrown strawberry patch and so I know well that strawberries require specific growing conditions, and too much rain and moisture is one of the biggest issues with growing strawberries. 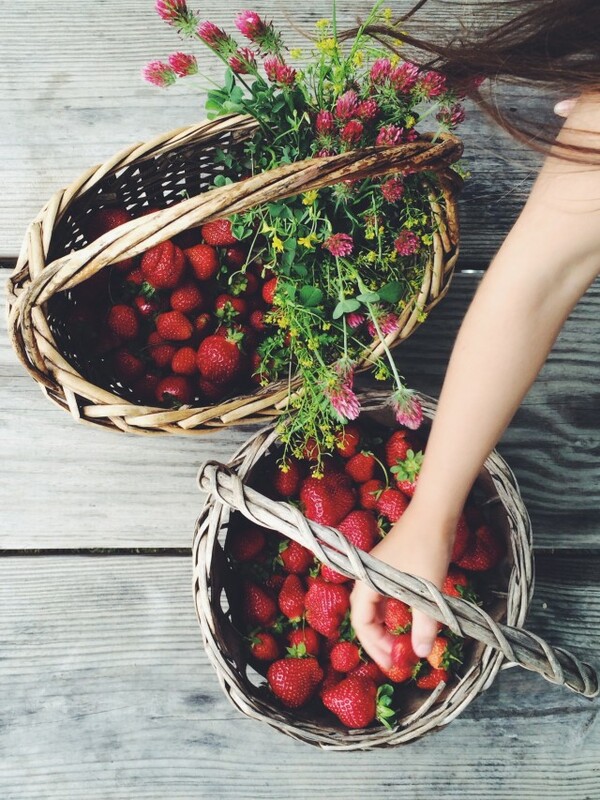 For this reason many strawberries are grown in greenhouse, in either soil or hydroponically so the water quantity can be precisely controlled, or they are grown on raised trellis so the berries are not sitting in wet soil. Donaldson Farm strawberries are open air, ground grown and as a consequence to protect their crops from rotting in very wet seasons, they use food grade hydrogen peroxide on the strawberries to stop mold growing (and pest too). This is a fairly common method to protect strawberry crops. When we picked we were told the strawberries had not been treated with hydrogen peroxide yet this season. I was pleased to hear this, but I am also aware that past occasions where they have been treated, means that the hydrogen peroxide run off goes into the soil, and residue is there to be absorbed by the roots of the plants. I wonder if this matters? Which lead me to do a little research on food grade hydrogen peroxide. Interestingly hydrogen peroxide can make its way into our diets and lifestyle in many ways because of its strong oxidising property, hydrogen peroxide is used as a bleaching agent in some foods such as wheat flour, edible oil, egg white etc. in countries like the US, Canada, Australia and New Zealand. Soy lecithin which appears in many products is often bleached with hydrogen peroxide at least once, sometimes twice. Hydrogen peroxide is allowed to be used as an antimicrobial agent in food, e.g. cows milk, soy milk, and as a sterilizing agent for food packaging materials. You may also encounter hydrogen peroxide if you lighten your hair or bleach your teeth, and it is used to lighten cotton fabric. Hydrogen peroxide is water that has extra oxygen in it. Made up of two hydrogen atoms and two oxygen atoms, it is known chemically as H2O2. Which does not sound bad! Pure or clean Hydrogen Peroxide is by no mean sinister, but I just like to know about it if it is used, in what ways it is used and what for? “Although there is no evidence that the present usage of hydrogen peroxide in foods poses a hazard to consumers, insufficient data are available to ensure a lack of hazard with all foods or when more rigorous treatments are employed, using higher concentrations, prolonged exposure, or elevated temperatures. My personal feelings is that it is good to be aware of hydrogen peroxide being a part of the process of many foods. The more I read about food production and ingredients, the more I realise, that if I do not know how it is made, and I can not make it myself in my own kitchen, then I probably should not eat it….well at least not often! Organic fresh whole food eating and cooking is the way to go. 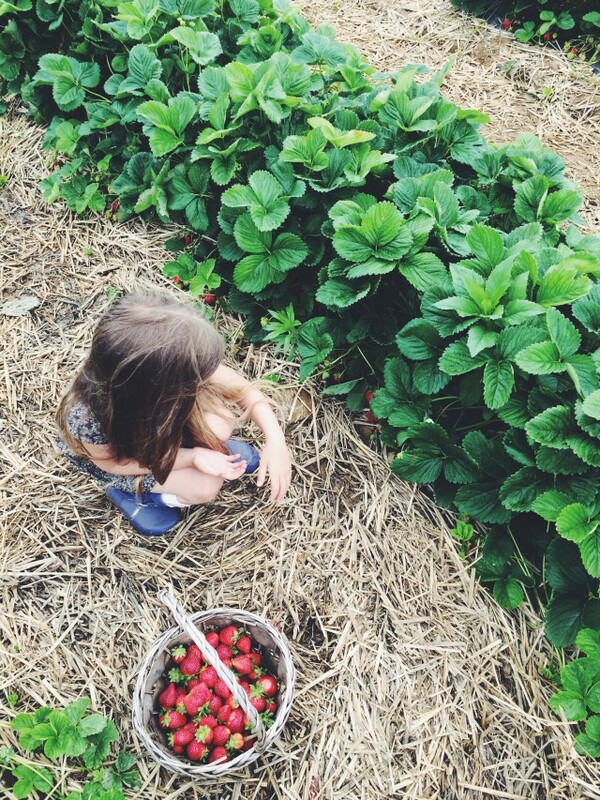 We are all a little wiser now, and while we may keep up our annual tradition of strawberry picking at Donaldson Strawberry Farm, we will know to ask if the berries have been treated yet each season, and we will stick to purchasing organic produce at the supermarket. 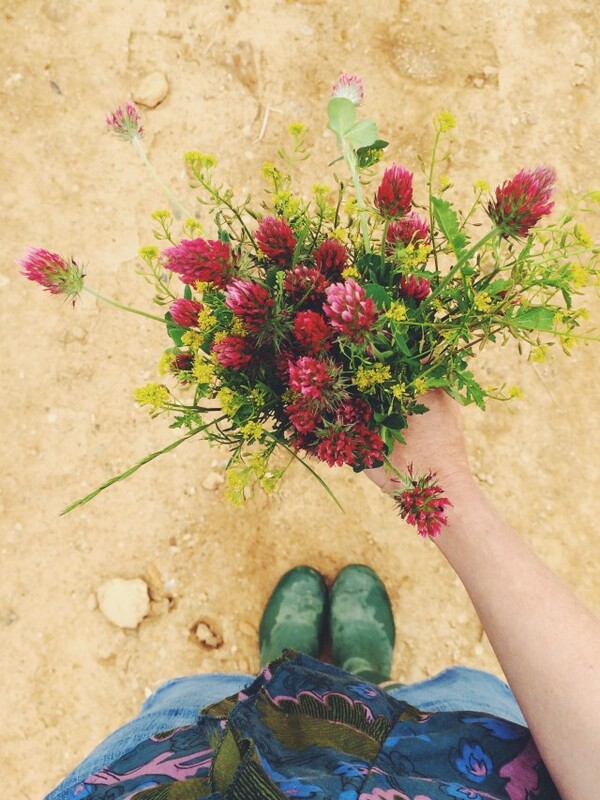 While buying organic may not be the most cost effective option I have learnt that nurturing our bodies with quality clean food is more important than a lot of other purchases we make. So good to remember, when it comes to budgeting our lifestyle, food first friends! The girls are wearing beautiful dress from Mabo . 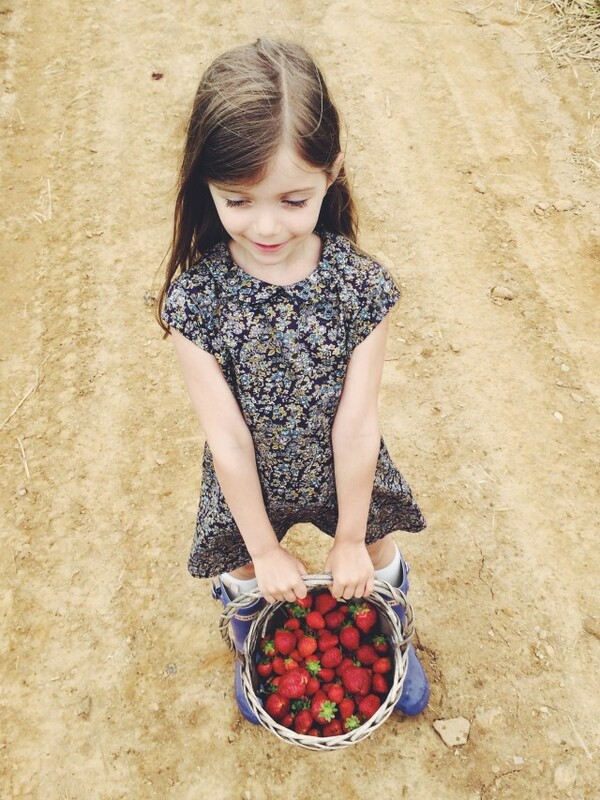 This entry was posted in E A T, V I S I T and tagged eat, new jersey, strawberries, strawberry picking, summer. I found this interesting. As a Californian I have access to the farmers market nearly year round yet in the interests of economy I will also buy my produce at Costco or other markets. As a mother of seven children I feel the need to make sure what they eat is healthy and as fresh as possible, so we grow our own, but the realities of life in an expensive state require me to be as frugal as possible when grocery shopping. I disagree with the sentiment ‘food first’ in regards to budgeting. It’s a luxury of wealth in my opinion. We are comfortably off and live a simple life but we go to the beach camping as a family yearly. That’s 9 people to pay for. We homeschool. I have books to buy. My daughters have been ‘en pointe’ ballerinas for 6 years and that’s quite an expense. I don’t see spending extra on organic as more important than any of those things. I strive to find a balance and try resist feeling guilty about the realities of my life. Hi, thank you for your comment, I find it really interesting and wonderful that you voiced your opinion, but I will stand by my convictions of food first, for so many reasons. I sympathise with families that really are struggling (and by that I mean living in poverty) but by the sounds of it you luckily are not one of them. In an age where many children in first world countries have more toys, shoes, clothes than necessary, but our soil, water and air, is being polluted by crop spraying, and species are becoming extinct, and the pollinators are suffering I think putting good quality food first over cheaply mass produced food is a good motto to remember. In addition to all of these issues is the illness and allergies in people that are on the increase as a result. We are all given choices, and part of my decision making, on a really fundamental level is about quality over quantity. Many of the people that say they can not afford to buy organic have houses with basements and garages full of stuff. Many people will put buying almost anything as more important than good food. If in daily life society placed more emphasis on putting food first it would not be a bad thing, because it would also teach people not to waste food. It is good to keep things in perspective, and we are fortunate to live in a country where food for survival is largely not an issue and like you said, to you it is more important to you to have a family vacation for your children to do ballet and to buy books. Which is lovely, and I understand needing to find balance and quality of life, but balance does not mean going with out education and vacations. Balance could mean borrowing books from the library, owning less clothes, shoes toys, and household items. Maybe your house is clutter free and you are a shinning example of money constantly and consciously spent wisely and well. I know I am not, but I do know that when I spend the money we do have on good food then I am less likely not to buy things that are fundamentally less important like clothes and toys. Why do I consider these thing less important, well because they are specifically about ‘me’ where as buying organic food is about the health of all people, animals, and the planet. I should also add that my father died of lymphatic cancer as a result of being a pecan farmer who sprayed pesticide. 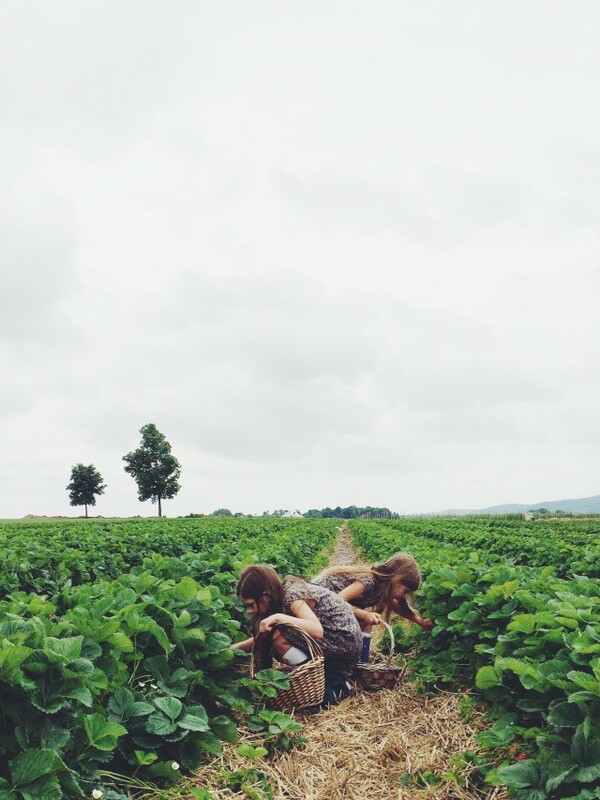 By buying organic we are helping people be free from an obligation to do jobs like this and a whole lot more. I certainly understand why this is close to your heart. I am not a shining example but to put it in perspective my family of 9 lives in a 1500 sq ft house. Less is more for us. It is a matter of not just quality of food but quality of life. If I did spend more on food we would certainly go without the vacation and the ballet. I shop at the thrift for 90% of my children’s clothes. Just wanting to illustrate that it isn’t a matter of superfluous choices that cause me to live this way. Of course I chose a big family and that is part of the equation as well. I really like sharing this dialogue, often I am conscious about all the people that wish and try to buy organic, but just cant, but likewise I am conscious of all the people that could and don’t. I am confronted by people in my own family that have such wealth, but see buying organic groceries as lesser importance to luxury items. In my journey with promoting organic free range conscious living, if I make the slightest positive impact on just one person with the means to change, then I feel like it is worthwhile. Maybe you don’t need to spend more money on food, but you could perhaps buy different groceries and try different recipes and use your food budget differently? I really don’t know and font want to be presumptuous. We eat organic rice and beans so often and they are so cheap! As a homeschool family that might be a great task/project for your children, to look at making the same money work in a different way? Who knows? I love a challenge. I never want to make people feel badly, or to feel guilty, but I hope to inspire people to be resourceful and get creative and focus on what is really important for one’s wellbeing (but also beyond the self) and the food that nourishes our bodies is a good place to start. Peace and Love! Kirsten, not presumptuous at all! I know you don’t know me or my lifestyle and are trying to inform. And it’s not so much that I can’t, but pick and choose for the sake of my budget. We do many things like keep our own chickens and make most meals from scratch. It’s important to know what I’m putting in their bellies. But I don’t like anyone to feel that only organic is the only way. I have only so much time to devote to research and do pay attention ( which is why I follow you) but there are many paths to healthy living.